Blue Pencil is a “slog”: a slow blog. It does not get updated daily or even on a regular schedule. Instead, it gets updated when there is something of value to be posted. Postings often take a long time to prepare and appear at intervals of a few weeks or even months. Sometimes there is a flurry of postings within the span of a few days. Blue Pencil may be unpredictable in its frequency, but not in its purpose. Blue Pencil is fiercely dedicated to the 3Rs: research, reading and writing. For the past nine years I have been trying to track down the ephemeral advertising jobs that W.A. Dwiggins did in the years between 1906 and 1930. One that has been particularly elusive and vexing was an apparent advertisement for Tiffany’s. Towards a Reform of the Paper Currency Particularly in Point of Its Design by W.A. Dwiggns (Cambridge: Kat Ran Press, 2014). 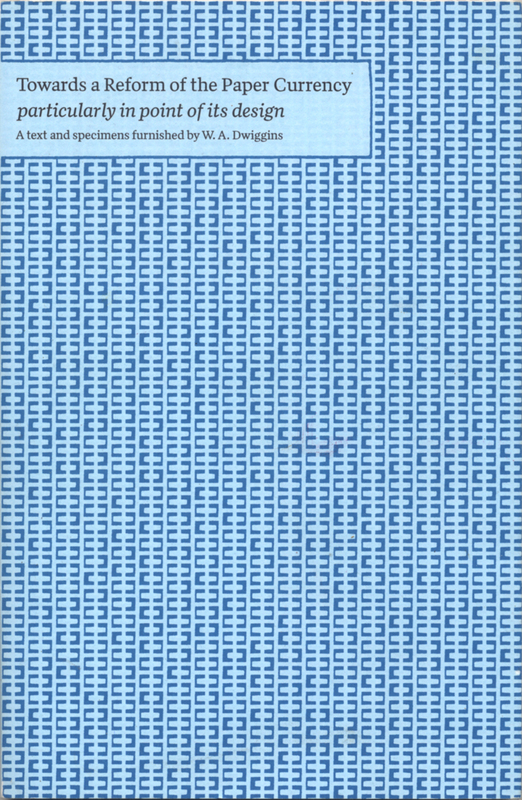 Wrapper: typography by Michael Russem; pattern by Cyrus Highsmith. “A Memento of a Catalogue Clinic” is more than an amusing illustration by W.A. Dwiggins. It is a key document in understanding the transformation of American printing in the first two decades of the 20th century as well as the growth of Dwiggins himself from a commercial artist to a graphic designer. The Definitive Dwiggins no. 3 addendum—Who was Charles Fulton Whitmarsh? 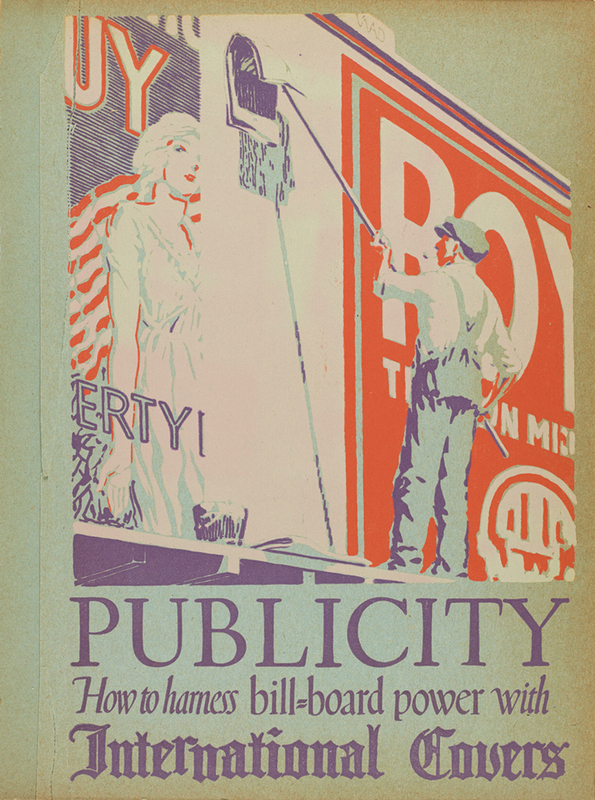 “Publicity: How to harness bill-board power with International Covers” advertising insert in Direct Advertising (vol. VII, no. 2). Design, illustration and lettering by W.A. Dwiggins, 1920.